Something wonderful happens at Riverside Theatres every year. Packemin Productions produces a musical specifically for audiences in Western Sydney and always staged at Riverside. You may not notice it (maybe you’re not a fan of musicals) or you just might be one of the thousands of loyal patrons who snap up their tickets as soon as they go on sale. In February this year, Packemin Productions will stage the Australian premiere – based on the DreamWorks Animation motion picture and the book by William Steig of Shrek the Musical starring actors Jay Laga’aia as Shrek and Luke Joslin as Lord Farquaad. It is Packemin’s 14th musical production at Riverside and is sure to be a firm family favourite. Neil Gooding, Packemin’s talented producer, has a long history with Riverside having previously worked in the theatre behind the scenes before he became internationally recognised as an award winning producer and director. 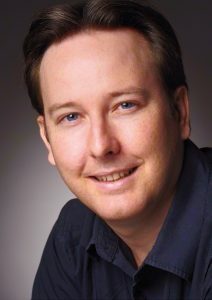 When not travelling, Neil lives in the Hills district of Western Sydney and believes that Riverside is “an amazing facility perfect for large scale productions,” and that “there is nothing like it in the Sydney CBD.” Gooding should know, having produced and directed (too many successful shows to mention in this article), on Broadway, Off-Broadway, London’s West End and of course, all over Australia. He is also the author of the phenomenally popular musical Back to the 80s – a high school favourite all over the world. Packemin Productions was formed in 2010 to produce high quality, affordable musical theatre for Riverside Theatres using a hybrid model of professional and community theatre, otherwise known as pro/am. This means that a handful of professional theatre workers including actors, directors and technical staff work with and mentor, talented young artists from the local community. The production values are high, using professional creative teams and musicians to ensure that the end result is vastly superior to amateur theatre. Most often, it is just as good as anything you will see in the Sydney CBD with the difference being that it doesn’t cost families an arm and a leg and they can find a park close at hand. They might even have money left over to enjoy dinner out. With dessert! Shrek the Musical delivers far more on the stage than in the movie. This particular production will expand the number of fairy-tale characters that was seen in the Broadway version and has a big tap dancing routine that will thrill audiences. It’s fun and quirky and with child favourite, Jay Laga’aia as Shrek it can’t go wrong. But it also features the prodigious talents of another local boy made good, Luke Joslin as Lord Farquaad. Joslin grew up in Western Sydney, attended the University of Western Sydney and worked at Riverside Theatres for many years. It is a place close to his heart. 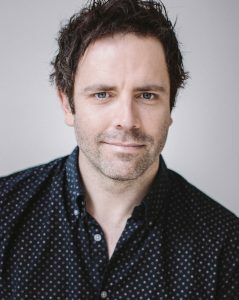 Joslin is an actor and director who won both a Green Room and Helpmann Award for his performance in Avenue Q in 2009 and has appeared in a great number of productions both musical and otherwise including Georgy Girl, Les Miserables, Wizard of Oz and The Play That Goes Wrong. He is energised by the growth he sees happening at Riverside Theatres and lays the credit for it firmly at the feet of the long standing Director, Robert Love AM and his commitment to the people of Western Sydney. “Robert Love gives me joy,” Luke says. “He has a big heart and a genuine love for the place. As a community we are lucky to have him.” Joslin talks about Riverside being a big family and one that he returns to as often as he can. He loves a good villain and is happy to have been cast as Lord Farquaad. His biggest challenge is the battering his knees are taking. Luke, 6’2”, has to spend the entire production on his knees including the dance sequences! There are a lot of similarities between Shrek and Western Sydney. Both are often misconceived as big, ugly and unsophisticated but that couldn’t be further from the truth, as both have very big hearts. And just like Shrek, Western Sydney can be the unlikely hero of the day, delivering on affordable family entertainment where the Sydney CBD cannot. So if you live in Western Sydney, and perhaps even if you don’t, get your tickets for this one early. They are sure to sell out. This is sure to be a fabulous family event created by the incredible talent residing in your own backyard and there is a lot to be proud of. Shrek the Musical plays at Riverside Theatres February 2 – 17. Tickets are on sale now. A freelance writer with a background in arts and media marketing, Liane runs a boutique consultancy from her home in Lake Macquarie. She can write just about anything but has a passion for the arts, health and cooking, happiness theories, travel, feminism, leadership and parenting. In the past Liane worked as a senior marketer in organisations such as Canberra Glassworks, Riverside Theatres, Sydney Symphony, the ABC and Time Inc. Magazines (Who Weekly, Time, Sports Illustrated and InStyle) but these days she prefers the flexibility and creative freedom in freelance writing work. An aspiring author of fiction for children and adults, Liane hopes to be published one day soon. 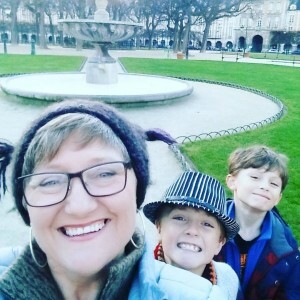 She is a proud Novacastrian, loves living on the coast just 1 ½ hours from the big smoke, growing amazing little human beings and writing for pleasure and for her clients.